Mahindra is well known for producing both the 4-wheeler & 2-wheeler in the Indian auto market. Being a successor in the 4-wheeler segment, where every model has its own design language, unique features & powerful execution. But, coming to the 2-wheeler segment the whole scenario is different as compare to the 4-wheeler segment. The Mahindra is trying hard to pull the customers towards the 2-wheeler, but there is no any that much response as the 4-wheelers. So in order to be in the 2-wheeler competition, the auto maker is employing Italian technology for better output. 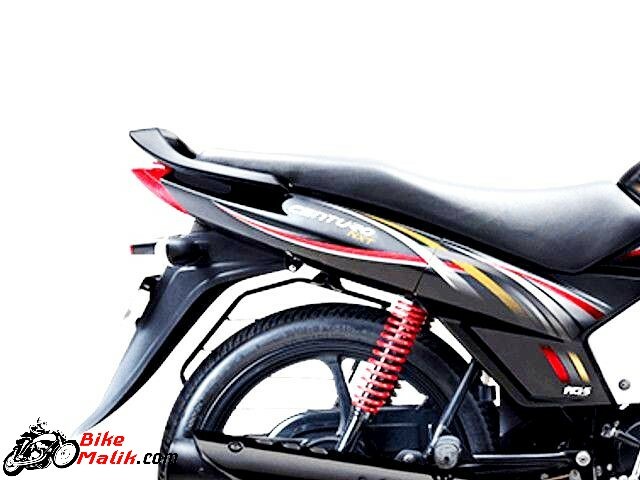 The first Italian technological bike from Mahindra is the ‘Stallio’ which was a flop model at that time. To brag the customers, Mahindra revamped & renamed the Stallio and debuted in to the market as Mahindra Pantero. 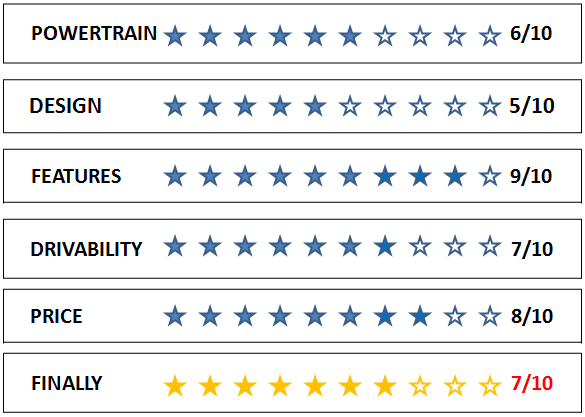 With all the add on features & revamped elements, Pantero claimed some decent sales figures. 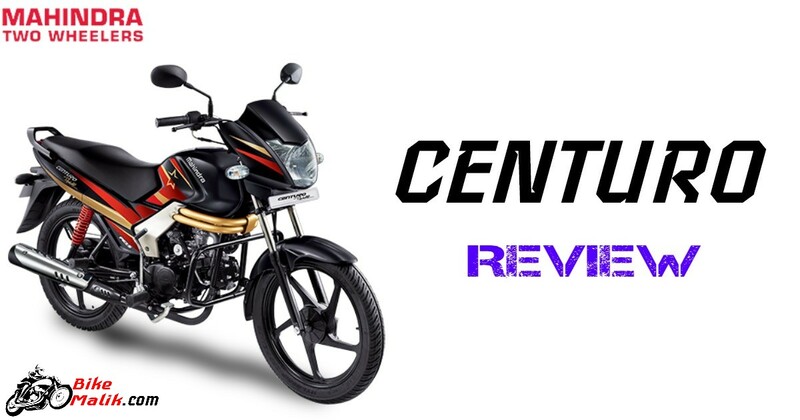 The only drawback with the Pantero is the design which looks aged & outdated, so to pleasure the 2-wheeler enthusiasts the bikemaker made some tweaks in the design and launched as the Mahindra Centuro 110. 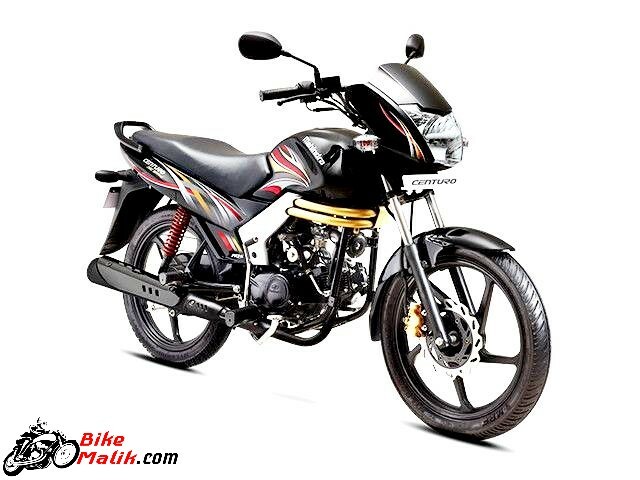 As of the design, the Mahindra Centuro is a completely refreshing model with new design cues. 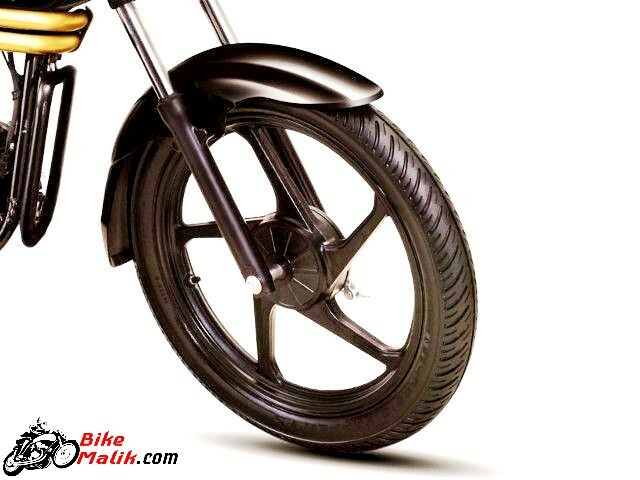 The bike is accessible to the customers in 2 – astounding colors schemes as Black & Red. 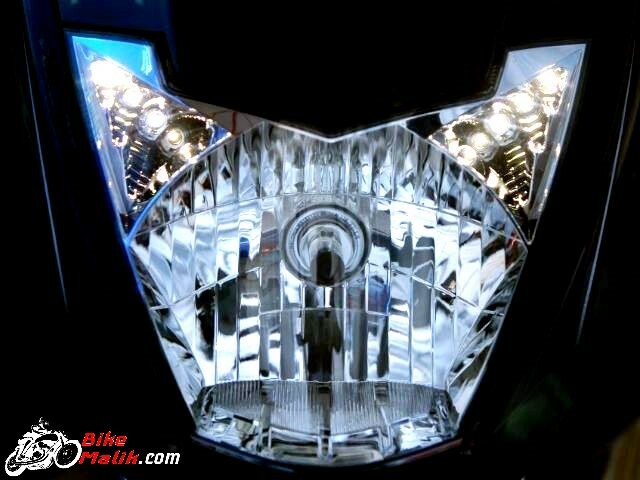 The headlamp unit with 2 LED pilot lamps not only gives better luminance but also elevates the premium look of the bike. 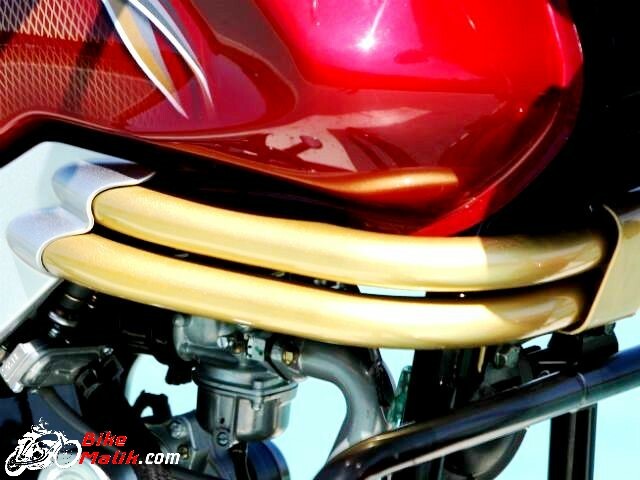 The Golden Ribs (bent rods) below the fuel tank are more appealing & muscular too. While the red painted suspension spring at the rear enhances the look from sides. The spoke wheels and the metallic panel on the exhaust pipe gives prominent stance to the bike. The graphics all-around the bike looks plusher. The 12.7 liters robust fuel tank gives the macho look to the bike. Coming to the features it boasts India’s first remote flip key, which was the most promising new feature on the bike. This key also gets an LED torch light to find the ignition of the bike even in the dark nights. This key has another switch which is for remote indicators. By pressing the button, the indicators start blinking, and thus, one can easily maneuver the bike from hard traffic. The anti-theft system employed in the bike, in order to lock the engine when an unauthorized key is used to steel the bike. The digital instrument console displays useful info regarding speedometer, odometer and fuel gauge along with a distance to empty meter. The bike now measures 2031mm length, 780mm wide, and 1111mm height with a large wheelbase of 1265mm. The 173mm ground clearance gives driving capability to the rider. The nicely cushioned 800mm seat height gives good comfort to both the rider and pillion and also enhance the driving condition of the rider. 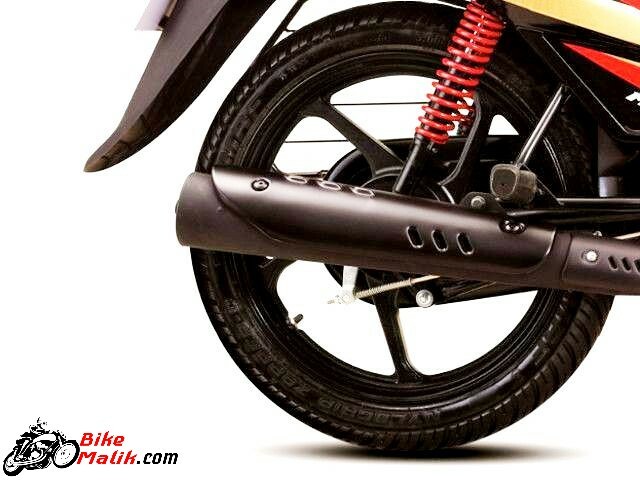 The 111 kg of bike weight gives hassle-free driving experience to the rider. The same 106.7 cc, single cylinder, air cooled, 4- stroke, an MCi-5 engine which was used in the Pantero, also serves the Mahindra Centuro very effectively. 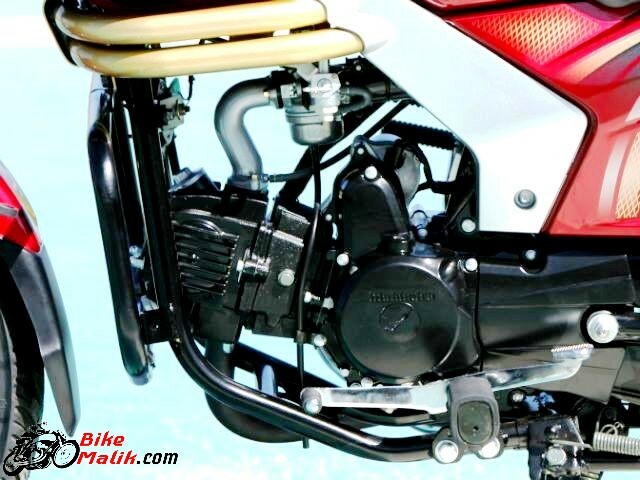 The engine pumps out a maximum 8.5 PS of power @ 7500 rpm with a peak torque of 8.5 Nm @ 5500 rpm. The 4- speed gearbox completes the transmission very efficasisouly. 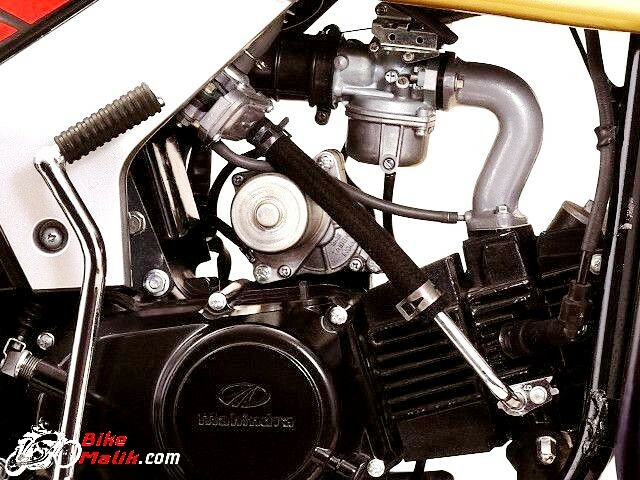 Thes output figures are more enough to pull the bike at high speeds. The Micro Chip ignited 5 curve engine (MCi-5) is an intelligent system, that gives equal power and economy on the go. Unlike the predecessor, the new Centuro claims better performance figures, that are enough for the maneuvering. With all the efficient hardware setup, the bike no returns a decent mileage figure of 85.4 km/l on highways while a range of mileage between 60-70 km/l in cities depending on the traffic conditions. The good driving capabilities are possible with the reliable braking setup, comfy suspension unit & grippy tyre. As of the braking, the 130 mm internal expanding drum brakes on both the front and the rear provides good mechanism even at high speeds. While the telescopic forks at the front and hydraulic coiled spring 5- step adjustable suspension at the rear ensures good comfort to both the rider & pillion. The 2.75” X 18” / 3.0” tyres mounted on an 18” inch wheels gives good stability on a ground without skidding. The free maintenance battery gives no tension for the user. Thus, controlling of the bike becomes easier without flaws. The bike is accessible in 4-variants and the price starts at a range of INR 47,347 (ex-showroom, Delhi). Mahindra Centuro is the practical everyday commuter that relishes your day-to-day driving experience with no any disrupts. Definitely the best buy model with decent features & offers.